All over the world it is known mostly by its nuts owing to its unique taste, free availability and multifarious uses in the kitchen, bakery and confectionery. The kidney-shaped cashew nut is encased in a hard shell with two layers The nut shell is smooth, oily and about one-eighth of an inch thick. Its honeycombed, cellular, inner portion contains the cashew nut. 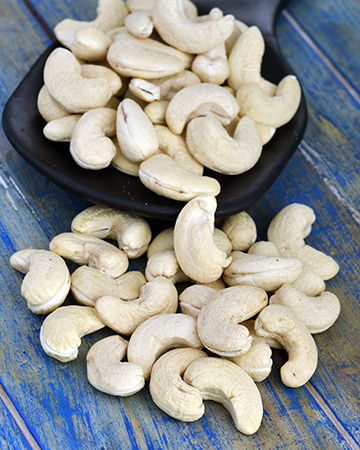 The cashew nut kernel is approximately seven-eighths of an inch in length, and is wrapped in a test or thin brown skin. The nut shell with its side indentation pointed upward, looks like a heart.